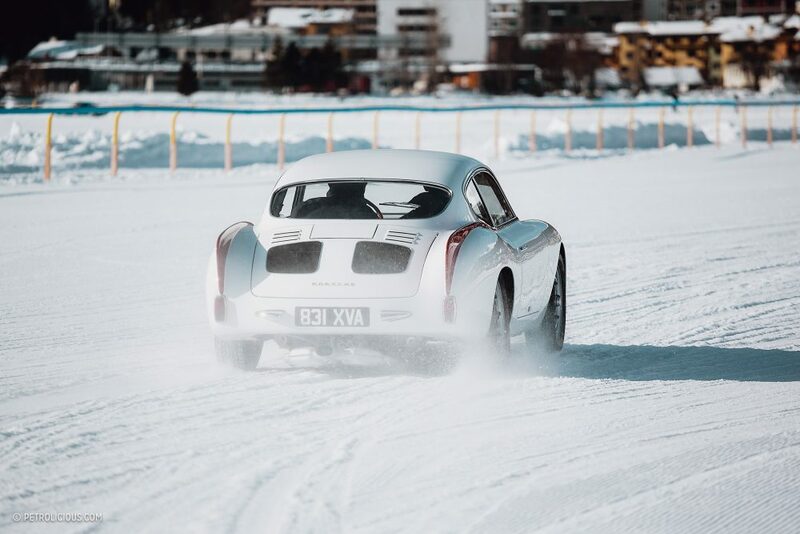 In the European classic automotive scene, the beginning of 2019 marked a new high point for the schedule in St. Moritz. 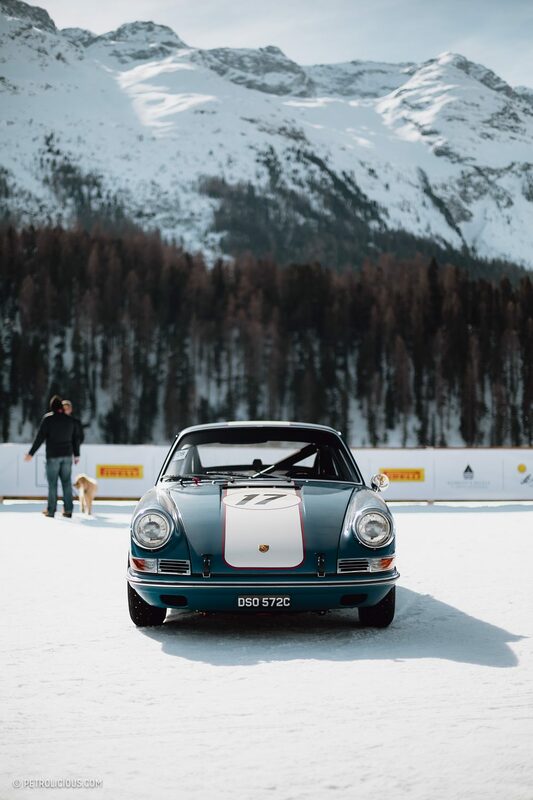 A few months ago, the first edition of the revived Zell am See’s GP Ice Race hosted a wonderful salad of skilled driving heroes, colorful race cars, and truckloads of precious metal from Stuttgart, and this past weekend the ski resort town in the Swiss Alps held its first International Concourse of Elegance (I.C.E.). 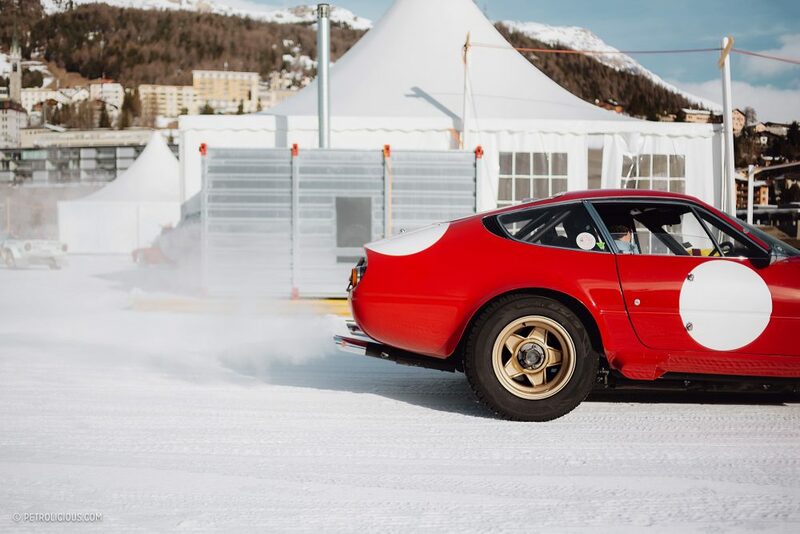 Winter marathons and rally raids prove time and time again that classic cars are able to cope with winter driving, and if you take care of them they’ll last for more than a single season of snow and salt. 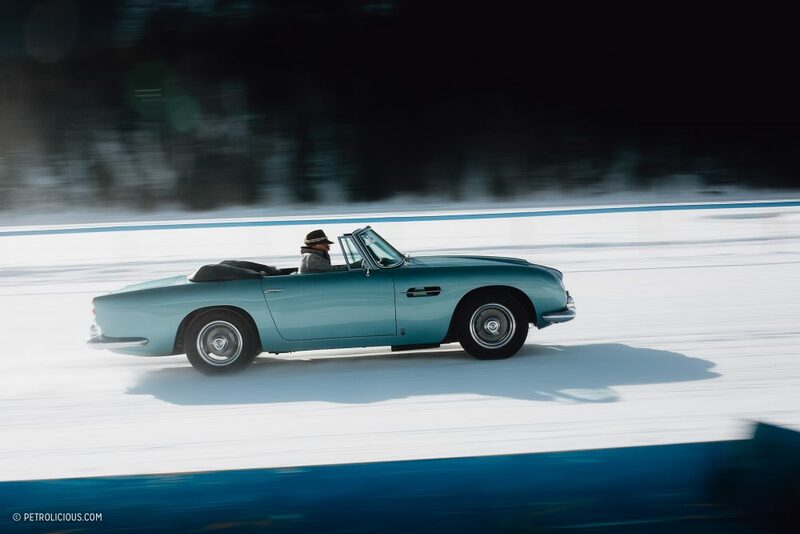 These drivers love their cars, and they choose to enjoy them all year round. The I.C.E. 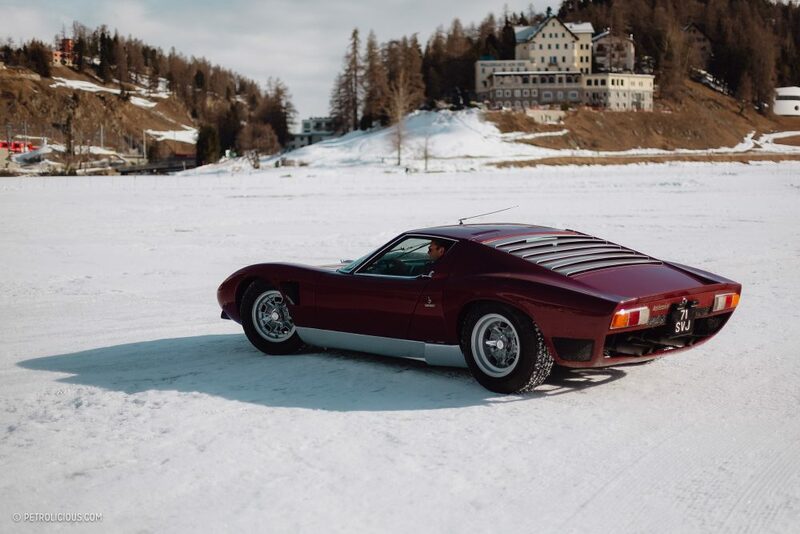 St. Moritz was a beautiful display of museum-quality metal outdoors in the elements of the typically anti-car season. 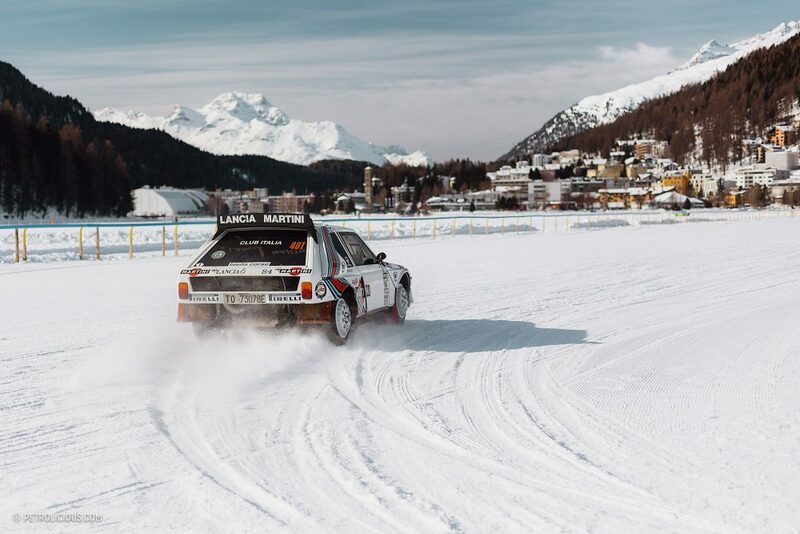 The event itself was held atop the ice and snow-covered surface of one of the world’s most exclusively situated lakes, and one that’s been pretty busy in the past month, hosting three consecutive weekends of White Turf’s horse racing. 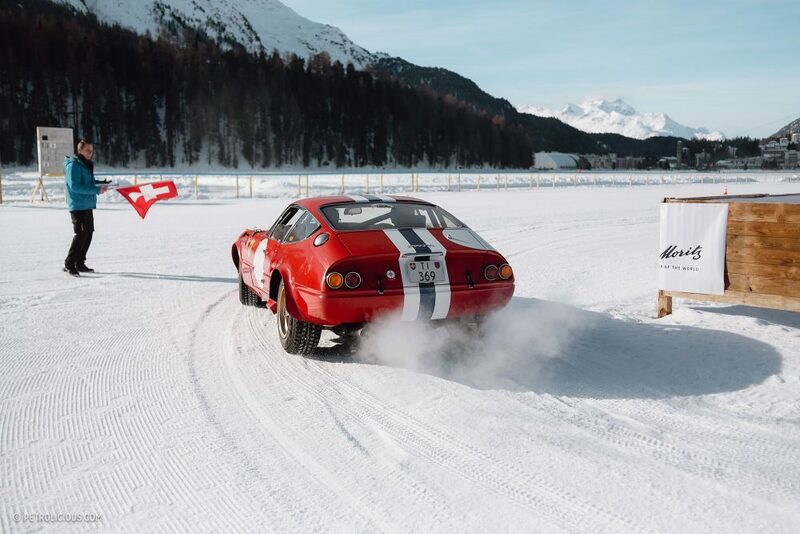 In St. Moritz, though, equine scenes of Christmas card-quality are replaced with thousands of horsepower on very short notice. 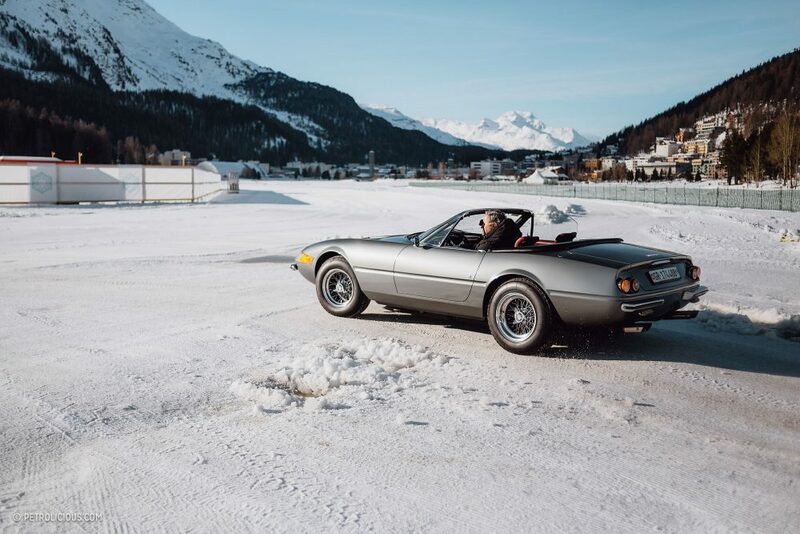 The sun was shining last weekend as the motoring jet-set gathered on location, showing off their machinery against a stark white floor of snow and mountains that probed into the heavens. 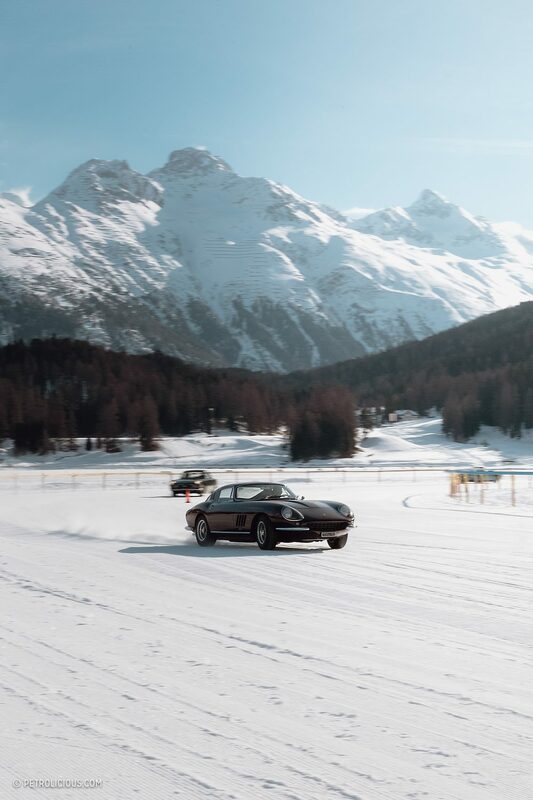 The typically peaceful Engadin valley’s silence was been interrupted on this day by high-revving V12s and twin-charged inline-fours and everything in between. 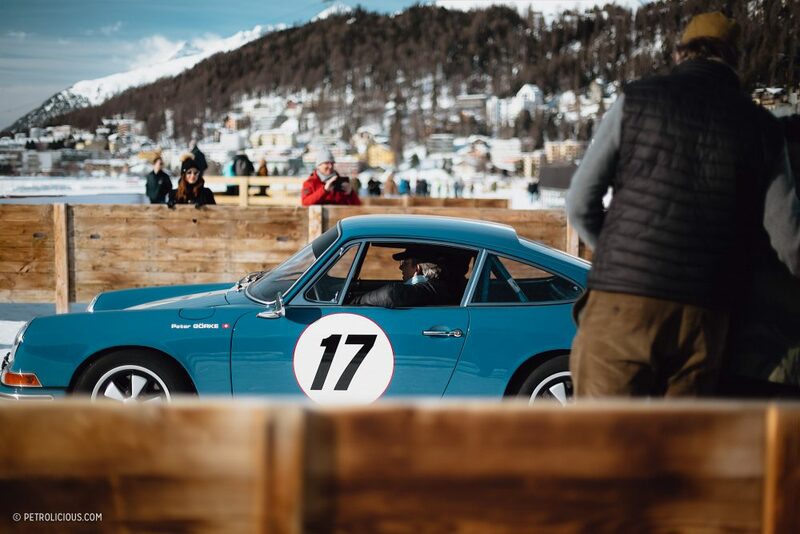 The cars in attendance are predominantly Italian, but have been carefully selected and split into a few not so strictly-defined categories, entering the track in order to have some serious fun instead of taking themselves too seriously. 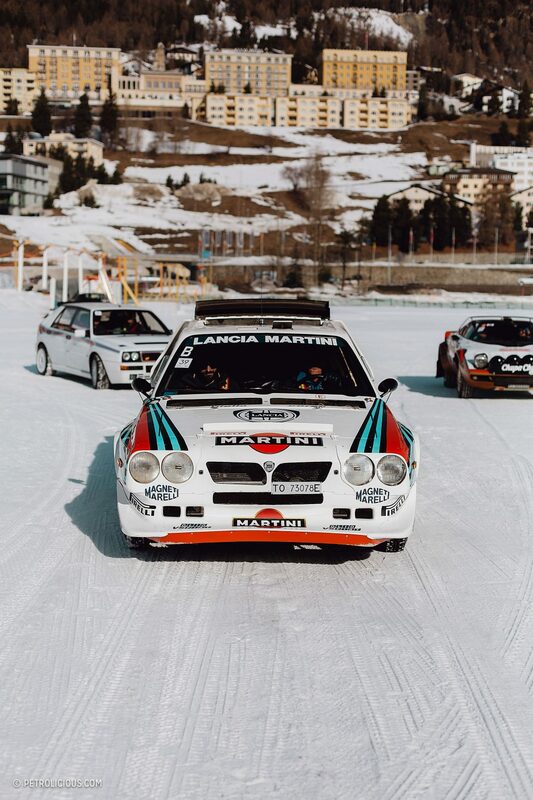 Obviously, when the racing surface becomes slick and loose, Lancia’s motorsport-focused vehicles are always welcome, and there were more than a few here representing of the once-legendary brand from Turin. 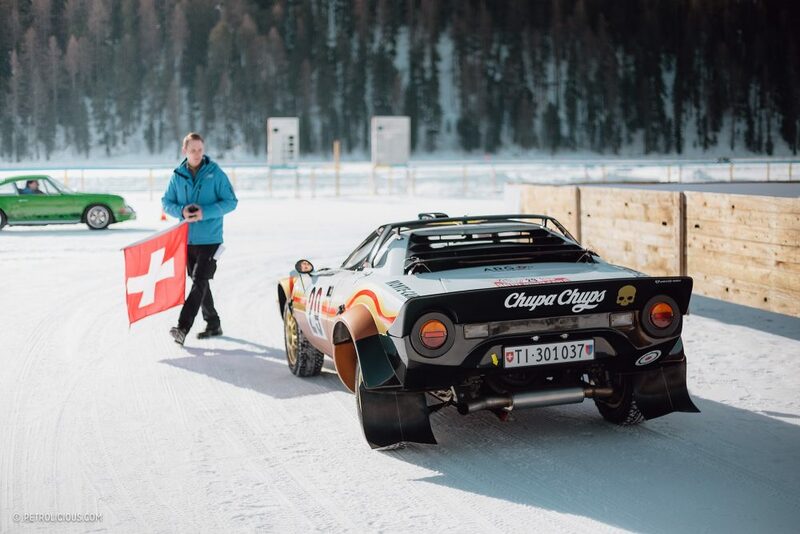 The Chupa-Chups-livered 1975 Lancia Stratos HF Group 4 stole its fair share of attention, its angry Dino V6 outputting an auditory ricochet in the valley. 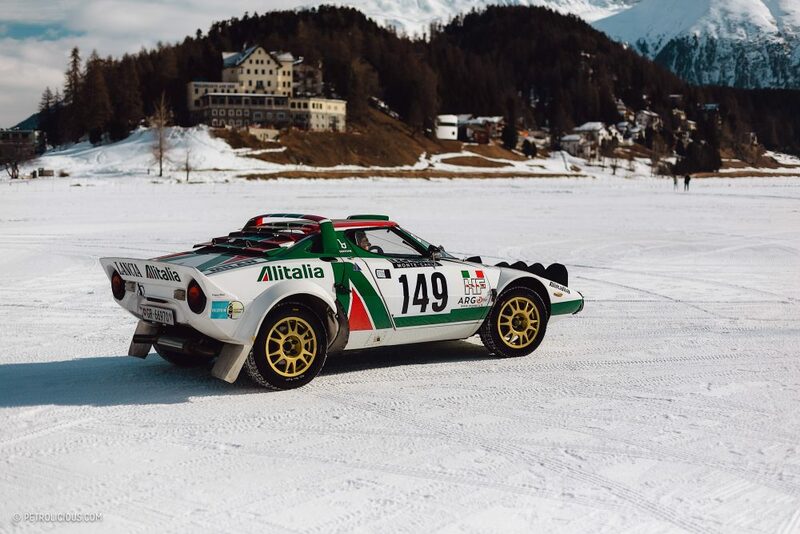 It was joined by an classic Alitalia-schemed Stratos, and these were some of the very few cars in the group able to complete the oval course in one continuous sideways lap—a testament to both the drivers and the machines. 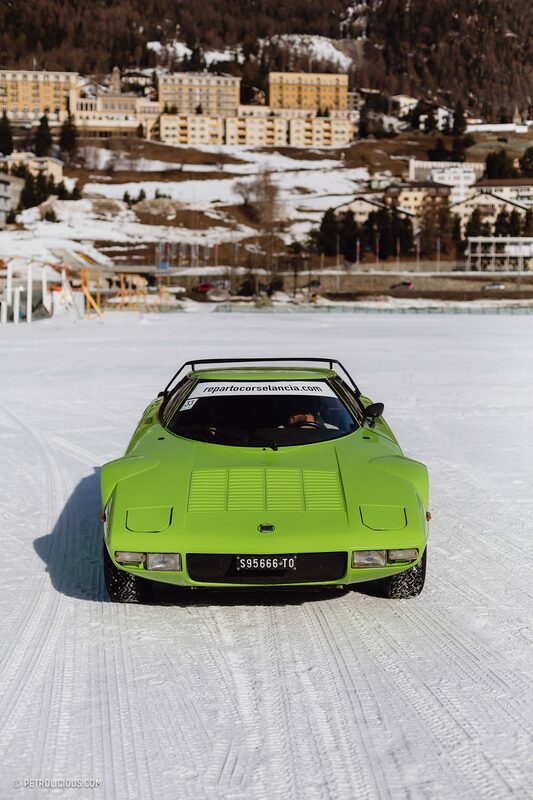 An almost neon green Stratos Stradale was a nice complement to the Group 4 cars, and a reminder of how wild the street versions of these cars were even in the shadow of their competitive siblings. 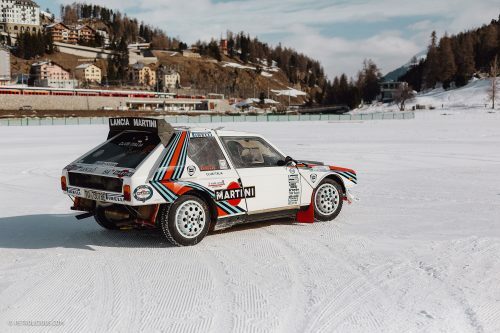 Going ahead in the Lancia rally timeline, an 037 Stradale and a thunderous Martini Racing Delta S4 in Group B spec was a show-stopper. The Roots compressor producing its signature whistle in perfect disharmony with the turbocharger sounds. 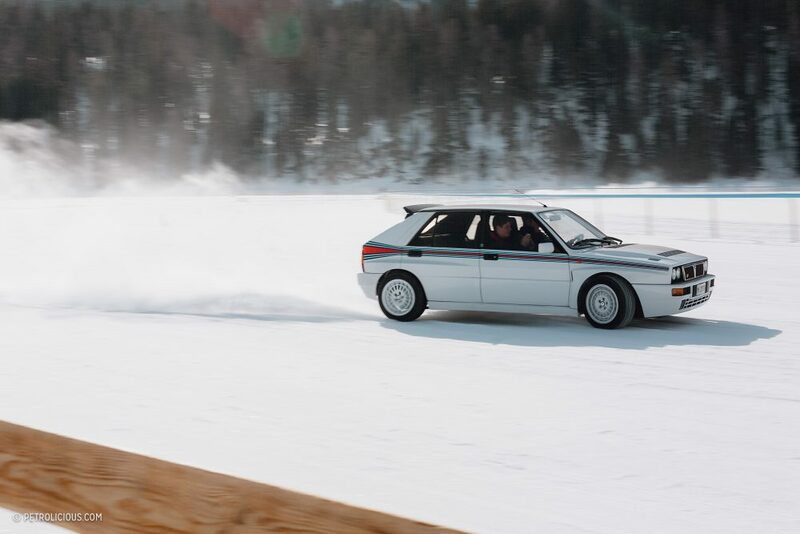 There was also one the 400 examples of Delta Integrale Martini 5, a limited edition of the Delta Integrale street car at the end of the model’s long and always-evolving production run. 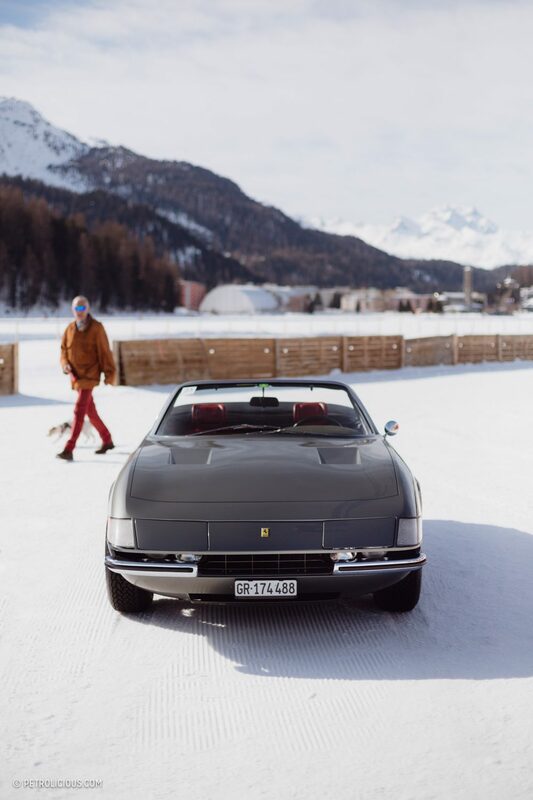 There were plenty of Prancing Horses enjoying the snow day as well. 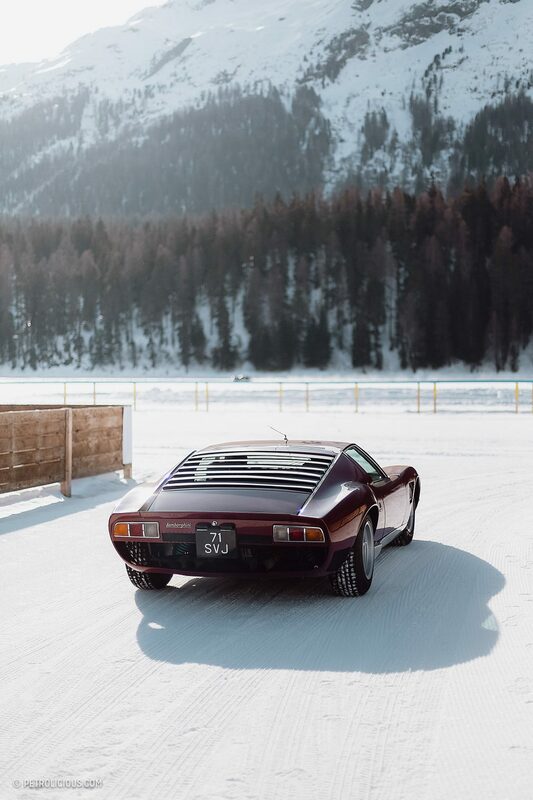 The Maranello squadron was formed by a few notables entrants like a yellow 750 Monza, a 250, Automobili Amos’ burgundy 275 GTB, a silver 365 GTB/4 Spider, a red 365 GTB/4 in Group 4 guise—with its white and blue stripes reminiscent of the colors used by Luigi Chinetti’s North American Racing Team (N.A.R.T. 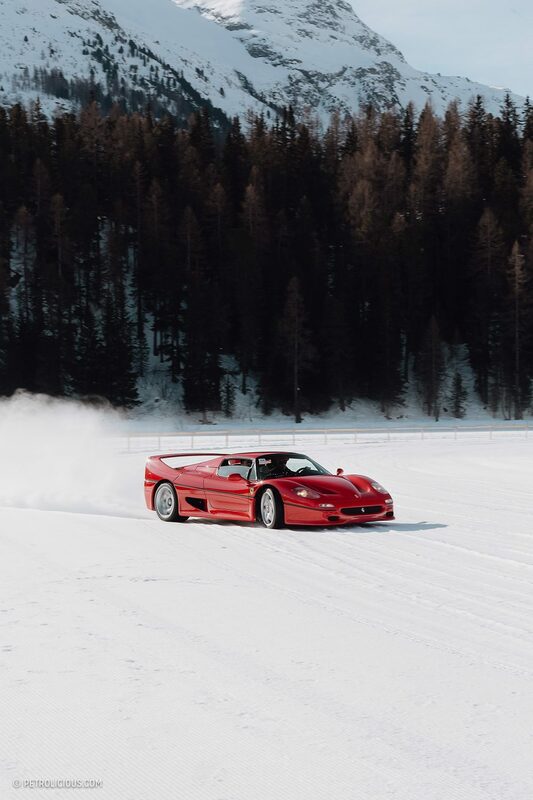 )—an F40, an F50, and Kessel Racing’s St.Moritz-sponsored 488 GT3. The best sound award? 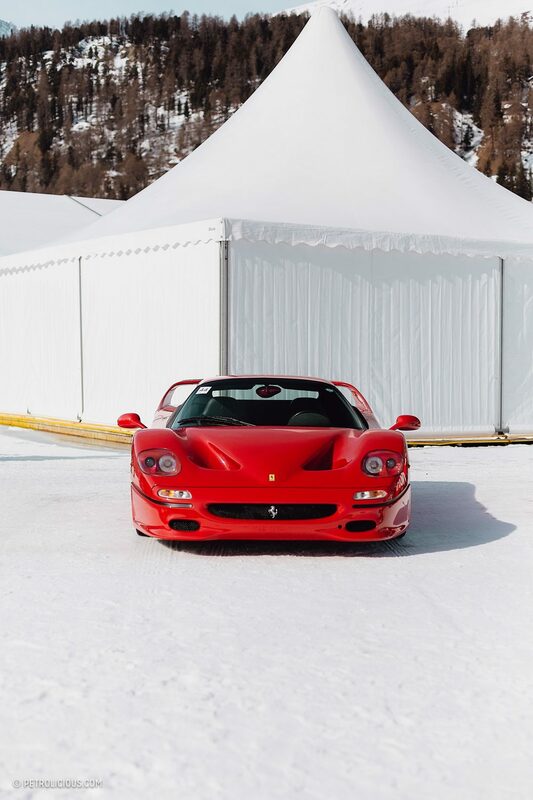 In my opinion, F50’s naturally aspirated V12 sinfonia was been the most deep and remarkable. 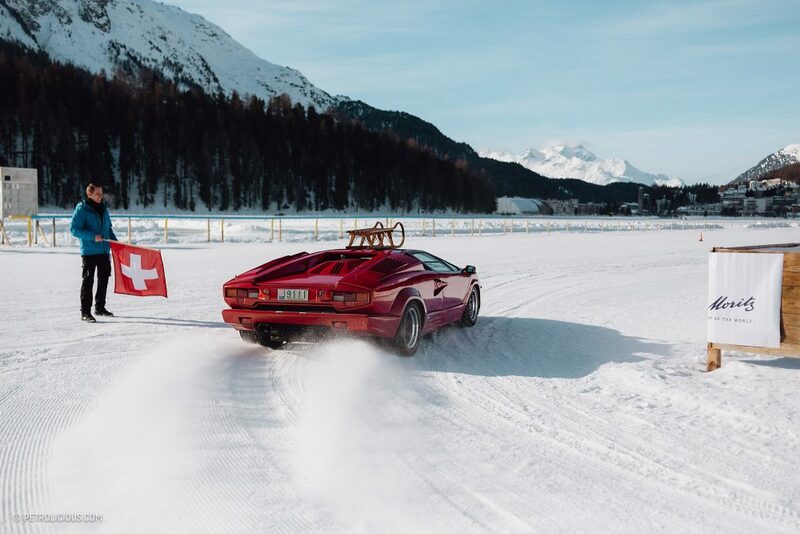 Its block came straight from the 1990 Ferrari 641 Formula 1 car, and to me it is almost impossible to beat the sound of a wailing Italian V12. It really drills your brain in the moment, cutting through all the other sounds of the day. 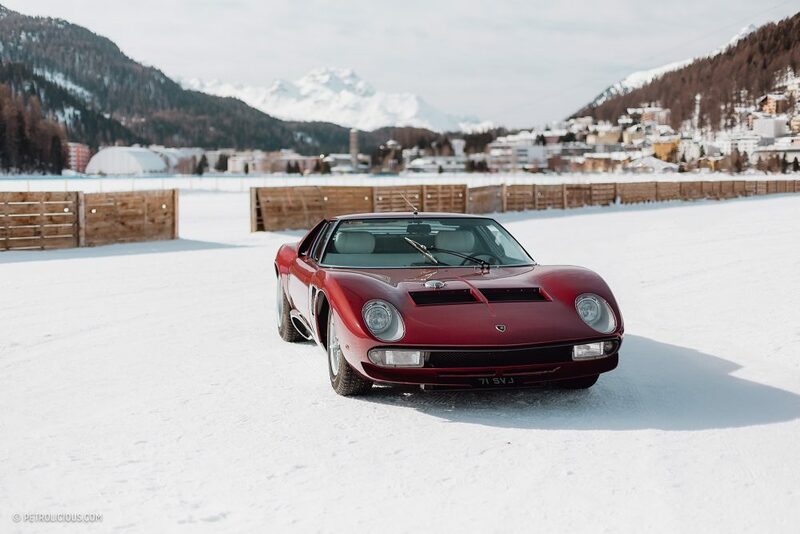 The products of Sant’Agata Bolognese were part of the supercars-on-ice playbill as well, and cars like the ex-Shah of Iran’s 1971 Miura SVJ, chassis number 4934, that was previously owned by Iran’s Shah Mohammad Reza Pahlavi. 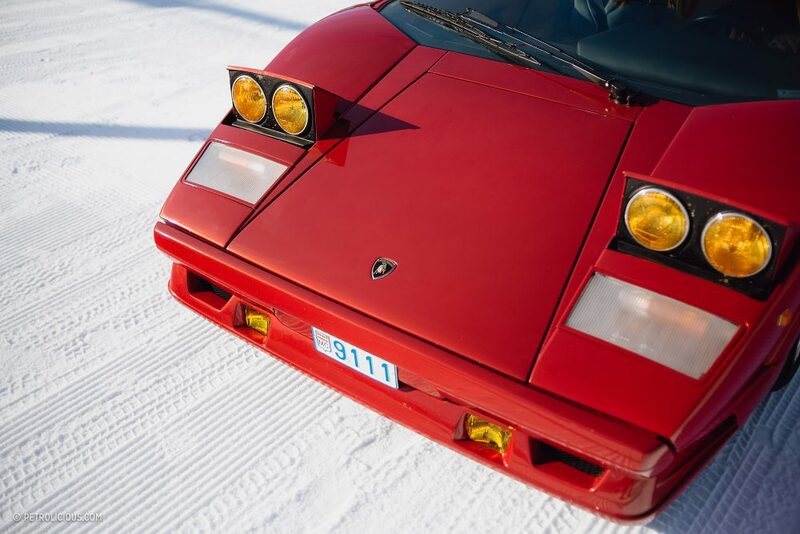 This car was joined by an incredible red Countach 25th Anniversary model, which won the InstaLake contest at the end of the day. 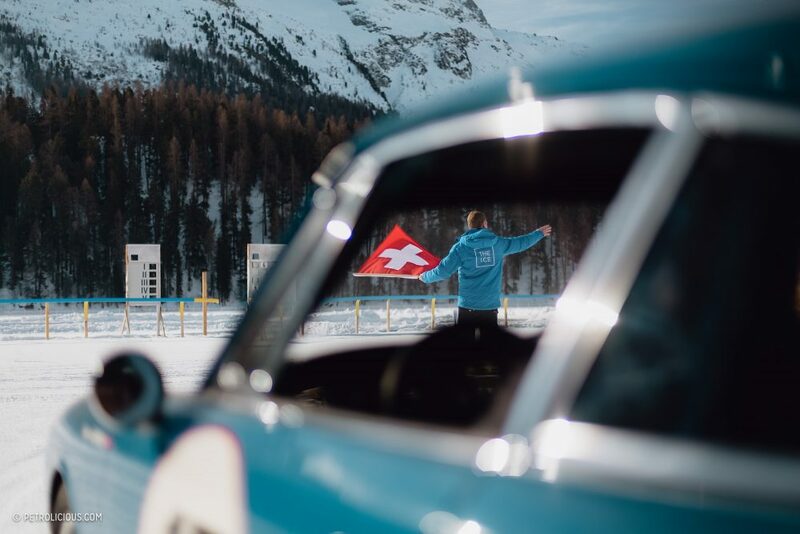 In this prize, for the first time in the history of a concours of elegance, the jury was composed only by popular automotive social media influencers. Love it or hate it, it is at least progressive in some senses of the word. 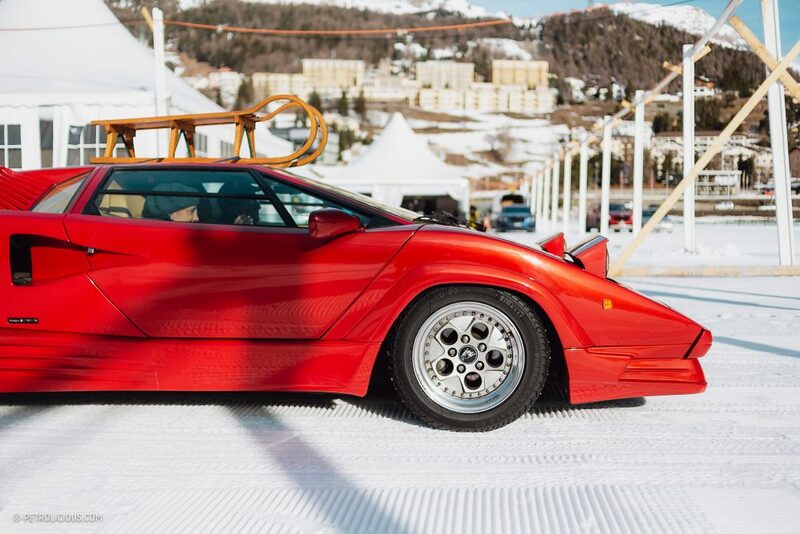 The sled on the roof probably helped the car’s chances, and we admit it was a great take on Santa’s sleigh. 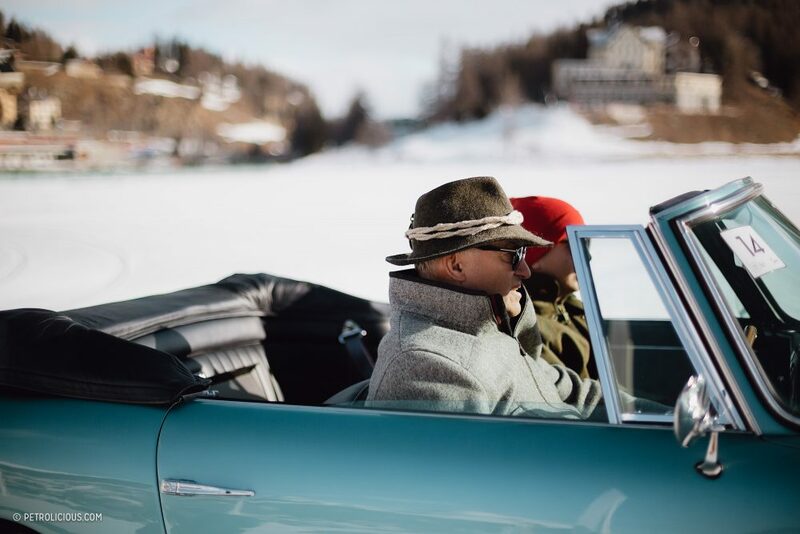 The Spirit of St. Moritz award, the second prize given during the day, was awarded by a people’s jury, and was given to a pre-war Bentley 4½ Litre. 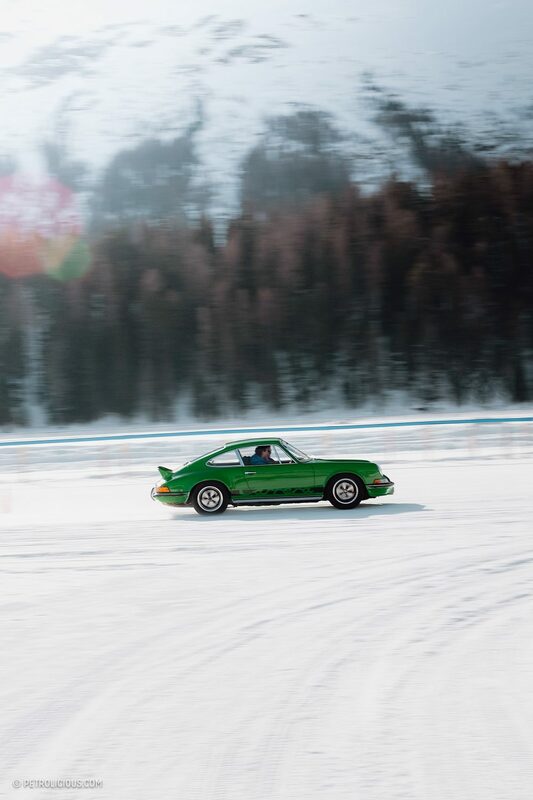 As mentioned, there were a few choice Porsche 911s. 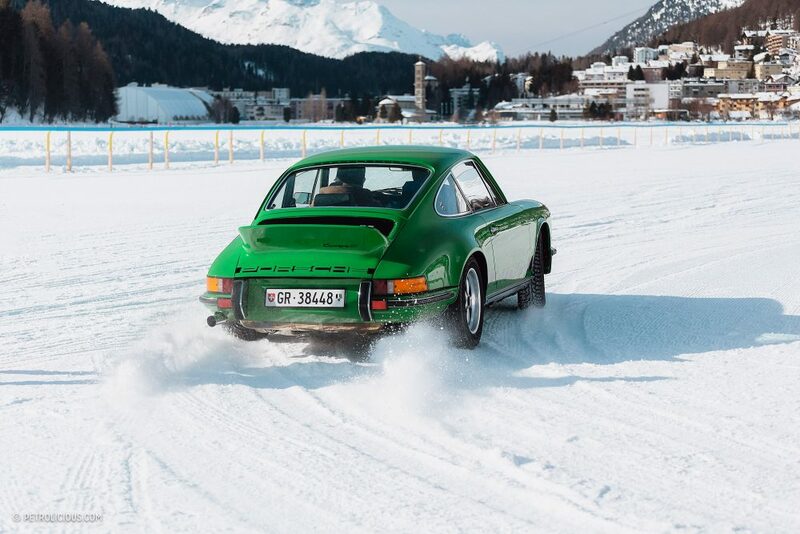 One of them, a Viper Green 2.7 RS in mint condition, and a marvelous Carrera Coupé Zagato. 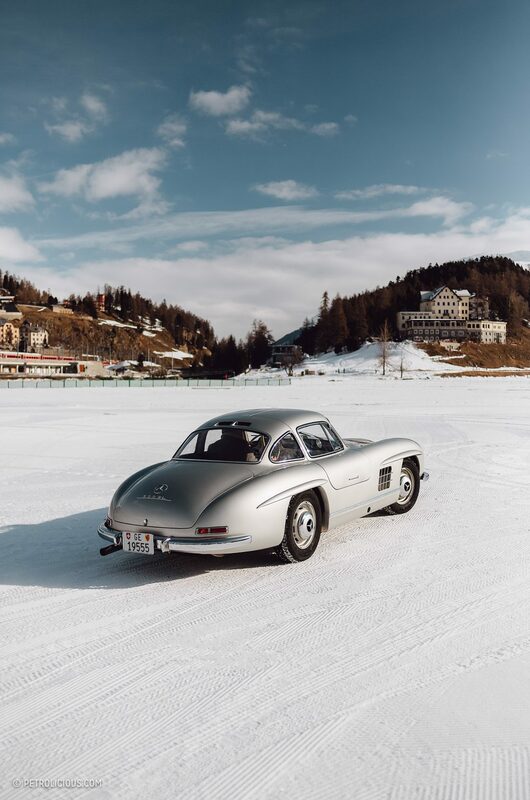 Mr. Simon Kidston attended as you might have expected, and was driving his silver Mercedes-Benz 300 SL Gullwing this time, a sentimental heirloom that once belonged to his father. The I.C.E. 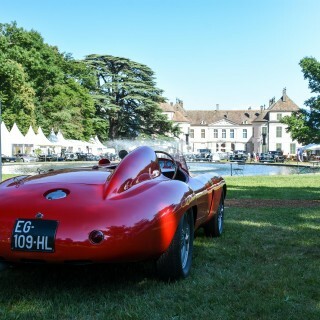 was a very different event, a refreshing concours. 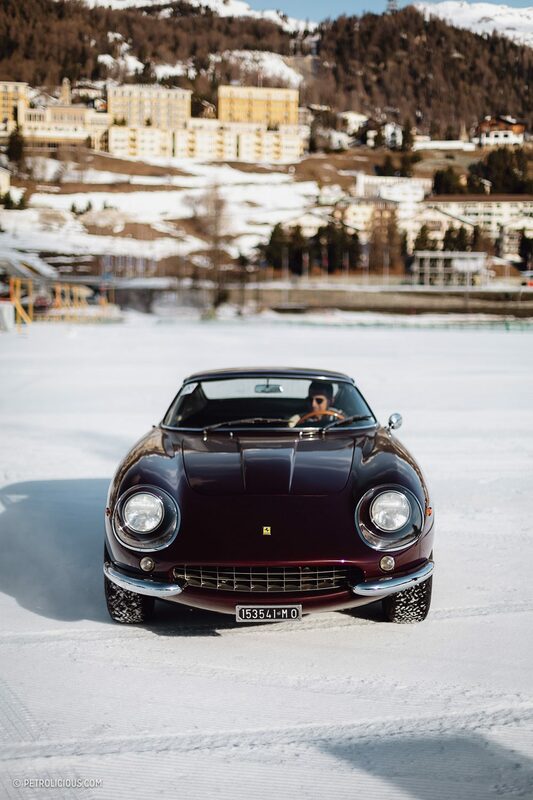 A completely magical environment where drivers, collectors, and just plain car enthusiasts enjoyed a late winter day in the sunshine, surrounded by the landscape and atmosphere that only St.Moritz, at the top of the world, is able to offer. 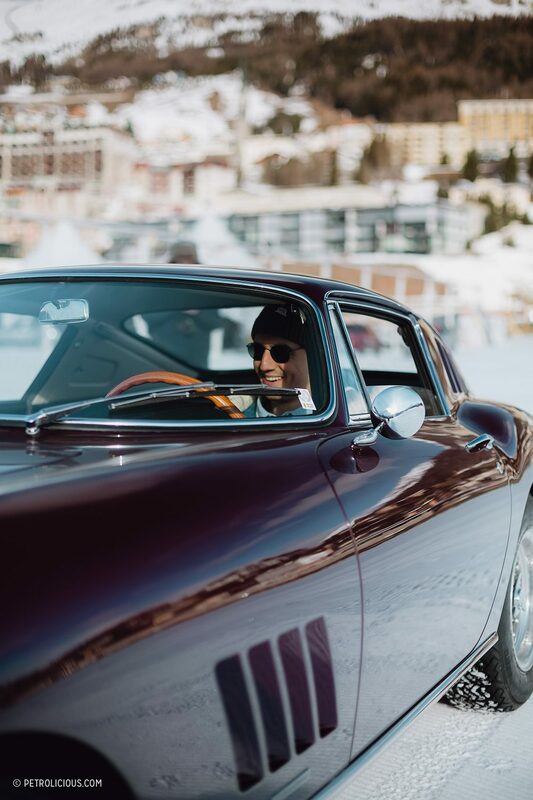 We’ll be sure to come back for the second edition in 2020, and we hope you’ll join us. Thanks so much for responding, Alex. The door handles of the car made me suspect Zagato, they’re the same ones from the Abarth Zagato. I’ll enjoy some Googling before bed. 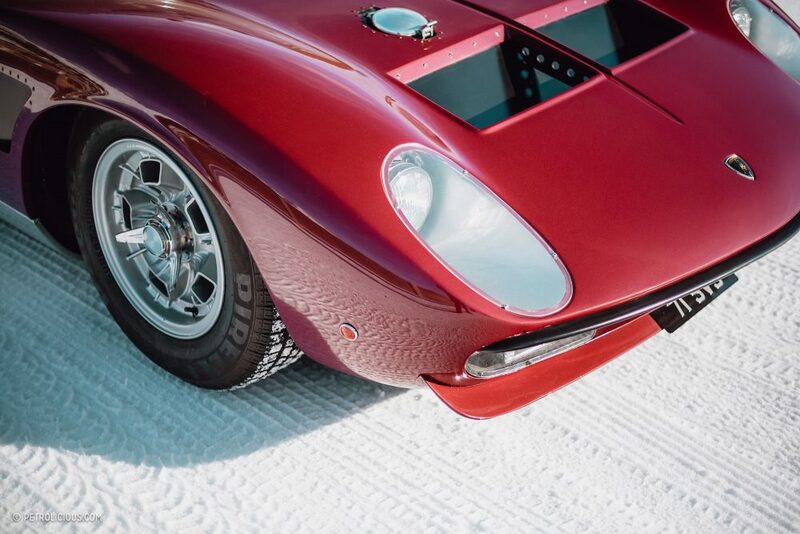 Hey Chad, this car features coach work by Zagato. 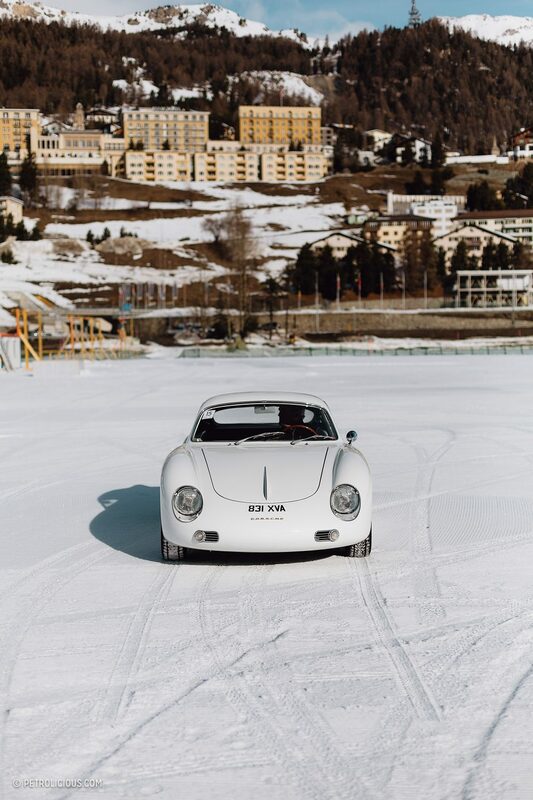 I believe it is a Zagato 356 Coupe. 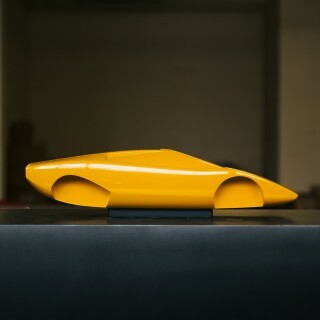 There is some info out there when you google about the limited run Zagato was doing. This one is extra special it had those glorious fins in the back. Cruel bate and switch! 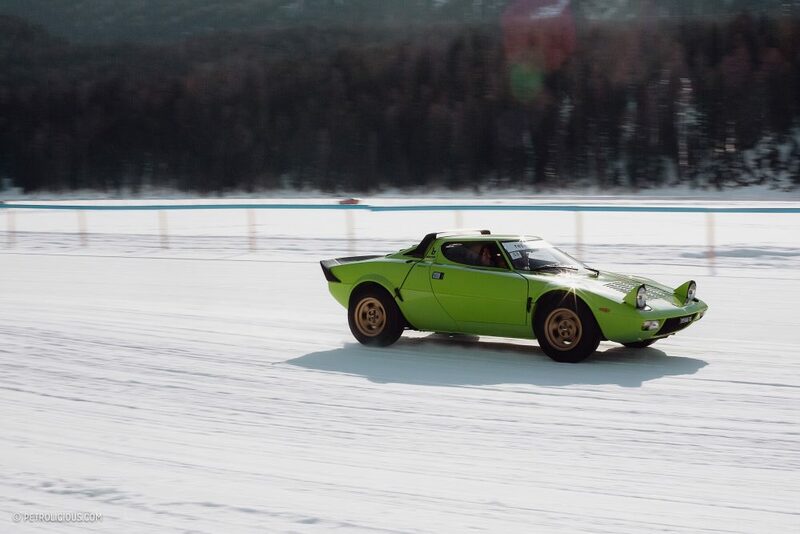 You mention Stratos’s drifting the complete circuit but offer no pictures? I’m willing to overlook the oversight if those pictures are forthcoming…. 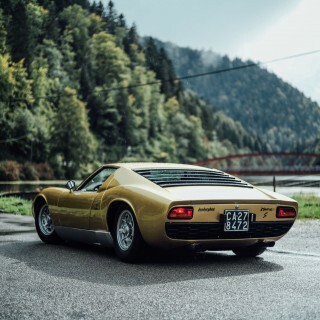 Amazing photos,beautiful cars and place…Thank you for nice article.I love this cars like S4 , F50, Miura and more classic icons. 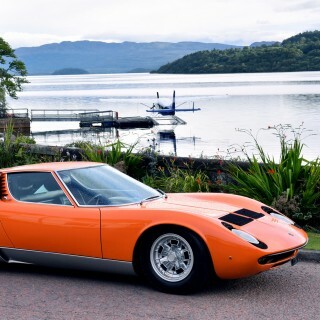 A great article and pictures – just the sort of thing I come to Petrolicious to read as you will not find it elsewhere – thanks.